As Accounting Manager for Coretrust, Ms. Bundang focuses on financial reporting and debt compliance as well as oversight of annual audits and tax compliance. Prior to joining Coretrust, Ms. Bundang served as Fund Controller at CMR Capital Group, where she was responsible for financial reporting, foreign investor reporting, and treasury management. Previously, she was an Assistant Controller for Lowe Enterprises Investors, where she was responsible for the accounting of several investment funds for private investors and institutional clients. Ms. Bundang also worked for Macerich, a publicly traded owner and operator of major retail centers, where she was responsible for financial reporting and budgeting. 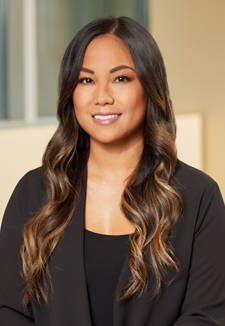 She also held a position at Charles Dunn Real Estate Services where she handled the property accounting of a diverse portfolio of commercial, retail and residential assets. Ms. Bundang is a graduate of the University of California, Los Angeles.